Día de los Muertos (translates to Day of the Dead in English) is a traditional Mexican holiday which celebrates friends and family who have passed away. Festivities begin October 31st and continue until November 2nd. Día de los Muertos celebrates the lives of the deceased with food, drink, parties, and activities the dead enjoyed in life. It is believed that the souls of the dead return to visit loved ones and join in on the celebration. The most noted symbol of the holiday are the painted calacas and calaveras (skeletons and skulls) which can be found in decorations, food and painted on faces. The celebration of Día de los Muertos has gained popularity around the world, particularly among Californians. We love the new twist on Halloween with bright colors and yummy food! Scroll to the bottom of the page for my complete costume shopping guide! 1. Carrera de los Muertos - A vibrant 5k run that honors Day of the Dead in San Diego, Ca. 2. Noche de Altares - Street celebration of Night of Altars in Santa Ana, Ca. 3. Día de los Muertos Festival - View the stunning altar artistic installations, enjoy authentic food and drinks and shop art from traditional Latin American artisans in Fruitvale, Oakland Ca. 4. El Panteón de Sacramento - An urban re-creation of the Día de los Muertos celebration that originated in small village cemeteries throughout Mexico. Takes place in Sacramento, Ca. 5. Old Town - Get your face painted just like mine and walk the procession in San Diego's historic Old Town. 6. Día de los Muertos on Olvera Street - Get your face painted by makeup artists and enjoy free sweet bread and champurrado. Don't forget to check out the Muertos Artwalk. Event takes place in Los Angeles, Ca. 7. 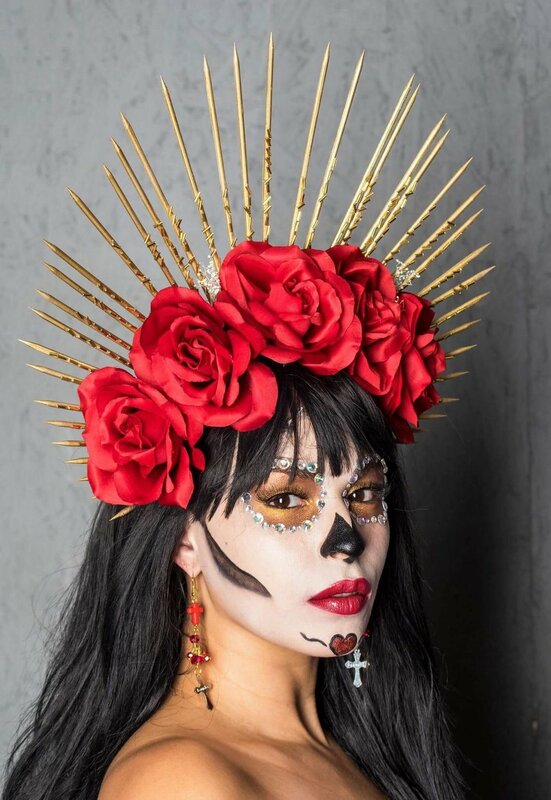 Hollywood Forever's Lady of the Dead - Come dressed in your finest Calaca apparel and get your photo taken against a wall of roses at the photo booth and enjoy fine Mexican cuisine and a wide spectrum of Day of the Dead arts and crafts. Event takes place in Los Angeles, Ca. 8. SOMA's Día de los Muertos Exhibition - Includes altars, multi-dimensional art installations and live music and performances. 2017 details should be announced very soon. Located in San Francisco, Ca. 9. Viva Los Muertos! - Check out the lowrider car show and The Museums of Sonoma County's Día de los Muertos family portrait competition. Events take place in Sonoma and Windsor, Ca. 10. Annual Downey Día de los Muertos Art Festival - Get your DIY on and decorate calaveras (skulls) and enter the costume and altars contest. Event takes place in Downey, Ca. Makeup by Eliana Buenrostro. Photography by Alberto Hernandez. 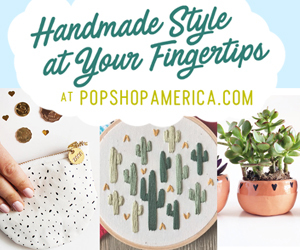 Shop Dia de los Muertos handmade pieces!